As warriors, the Wildcats may have a different star every night. It’s often Brunson, the point guard who has collected almost every national player of the year honor this season, but Monday’s star came off the bench for Villanova. 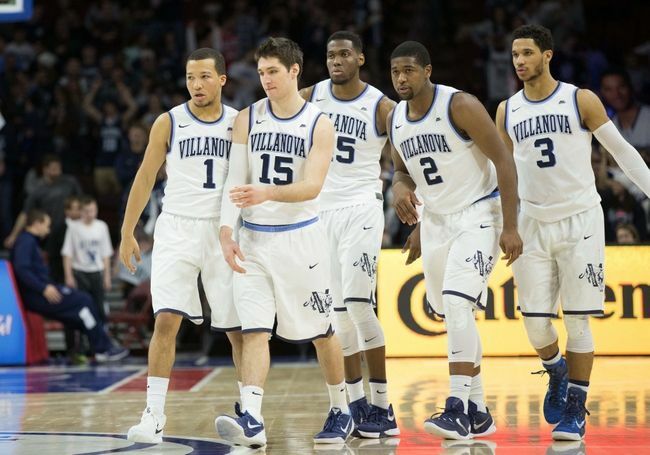 “I thought we played our best game in the championship game,” coach Jay Wright said. The redhead baby with the nickname Big Ragu came off the bench to score 31 points on Monday, and people were chanting his name from their cheap seats “Di-Vin-Cen-jo, Di-Vin-Cen-jo” for their new star. He opened his game-sealing run with an around the back dribble to get the basket and got fouled. At the other end, he gave a two-hand rejection of Charles Matthews of Michigan, when Matthews tried to take him in the paint. “Blocked shots,” surely, Vincenzo said when asked if he enjoys 3s or more waste. “I pride myself on defense and just bringing energy to the team.” Di Vincenzo finished the half with 18 and Villanova led 37-28. But The Big Ragu wouldn’t allow the Wolverines to come closer. A few moments later, he hit a three-pointer that crushed hopes of Michigan. He finished with 31 points, 5 rebounds and 3 assists. It was the turn of DiVincenjo on Monday, but the beauty of this team of Villanova is that whenever a player is perfectly suited to the occasion, they always found a way to get on that occasion.